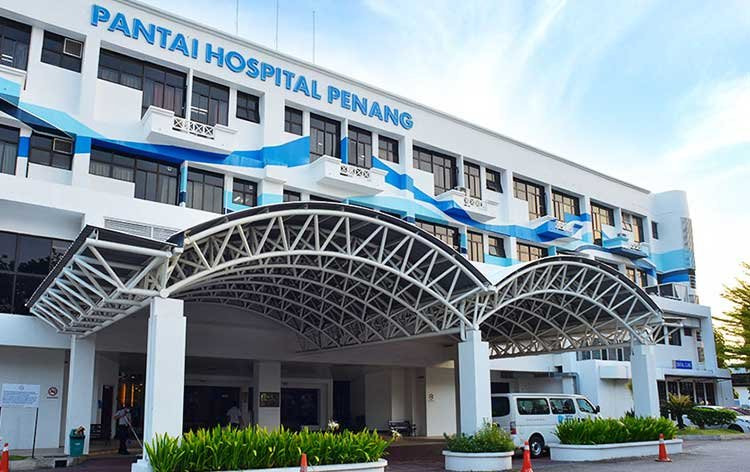 Pantai Hospital Penang is a multi-specialty hospital in Malaysia, and is amongst the renowned hospitals of Parkway Pantai Limited (Pantai Group). It is a 190-bed hospital with first-rate outpatient, inpatient and critical care facilities among all the important specialties including a centre for stroke treatment, cardiology, neurology, laparoscopic surgery and orthopaedics, interventional radiology, and Emergency department. The hospital, along with top-notch infrastructure and cutting edge technology, has over 48 resident doctors along with 13 sessional and 2 visiting specialists who are highly trained and experienced in their field of expertise. Pantai Hospital strive to offer best Rehabilitation and wellness programs and the Pantai Integrated Rehab boasts of having over 100 Physiotherapists, Occupational therapists and Speech and Language therapists. The Imaging Unit is equipped with Magnetic Resonance Imaging (MRI), 160-Slice and 64-Slice CT scan, Mammography, Fluoroscopy, Ultrasound, Image intensifier in operation theatre, Bone densitometry, Orthopantomography, General radiography equipment. 24X7 Emergency Services, ICU, Neonatal Intensive Care Unit (NICU) and High Dependency Unit (HDU). Advanced procedures for Kidney stone treatment like are offered using Dornier Compact Delta II ESWL machineThe Nephrology department has high tech Dornier Compact Delta II ESWL machine which is used for non-invasive kidney stone treatment procedures known as Extracorporeal Shock Wave Lithotripsy (ESWL). The Stroke Centre at Pantai Hospital provides special care for stroke patients is facilitated with 18 beds, modern equipment and a Physiotherapy & Occupational Therapy facility for rehabilitation. Modern OTs equipped with standard air-filtration techniques and high-tech patient support systems required for the surgery. Cancer Care centre is facilitated with ultra-modern technologies including 2 linear accelerators (LINAC), Precise from elekta for conformal RT and IMRT, HDR brachytherapy, Computerized 2D and 3D planning system and others. Clinical laboratory equipped with advanced techniques of pathology, molecular biology and cellular methods, for rapid diagnosis. Pantai Hospital Kuala Lumpur offers excellent quality clinical care at a reasonable price range and is therefore, becoming a popular destination choice for medical tourism by patients from various parts of the world. The hospital has a sincere team of medical professionals and support staff putting uncompromised efforts to provide successful medical treatment and personalized care to all the patients. Nearest Airport: Penang International Airport which is 4 km away from the hospital. Bus service through Rapid Penang 302 and Weld Quay - Batu Maung, via Jalan Bukit Gambir. Pantai Hospital Penang performs 202 different procedures. Click on a procedure name to see more details and to view doctors for that specialty. 4.1 average based on 56 reviews.